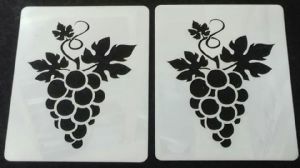 Grape & Vine pattern stencil sheet for wall decoration / greeting card making. Stencil measures approximately 7 cm x 5 cm. Can be used over and over again many times. 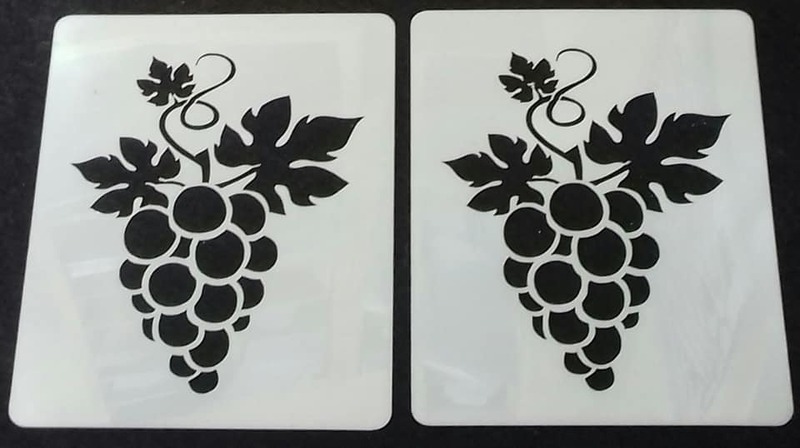 All stencils are made of quality Mylar 350 micron for use on many different surfaces. Stencils do not have a sticky back so ideal for spraying or sponging paint on to fabric, walls and for greeting card making and cakes.